"William Ross. 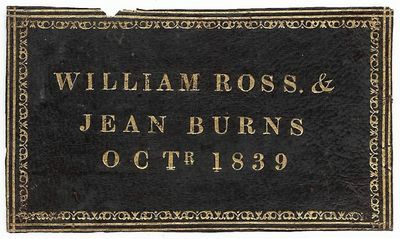 & Jean Burns / Octr 1839." Gilt on black leather, 9.2 by 5.3 cm. Very good but for a small chip on the top edge and mounting tape on the verso.